This holiday season, Santa is coming to the sewers! 24 Days of Turtle is a countdown until Christmas guaranteed to make you merry. 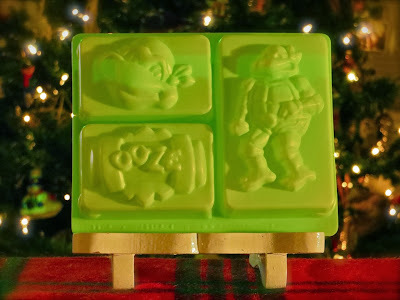 From December 1st through 24th, this advent calendar will shell out 24 different TMNT Holiday-themed treats. Each day will offer something new, something ninja. You've heard it a million times. It's like a playlist with only one song, stuck on repeat. "Don't play with your food." Adults love bellowing out that order. But, who are they to judge? They don't exactly set a proper example during the holidays. Adults love to string their popcorn and craft small houses made of cookies. They even stuff candies inside hanging socks! 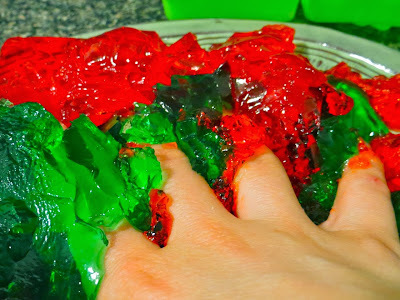 With such strange behavior, there's no way to discourage kids from playing with their festive foods. No one likes a holiday hypocrite. The Sewer Den is all about being silly. Playing with your food during the snowy season is only natural. For Day 21 of 24 Days of Turtle, forget the jingle, it's all about the jiggle. 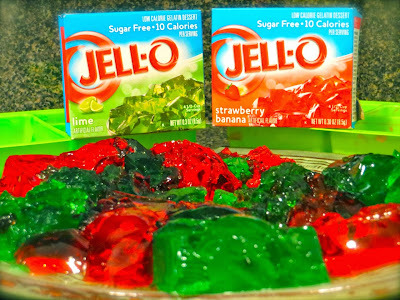 Jello was destined for holiday success. Like the ugly Christmas sweater, it's always popping up at someone's party. 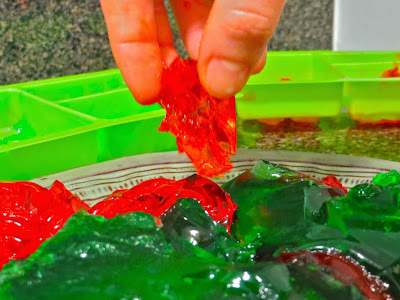 Although some people don't like Jello, EVERYONE loves playing with it. 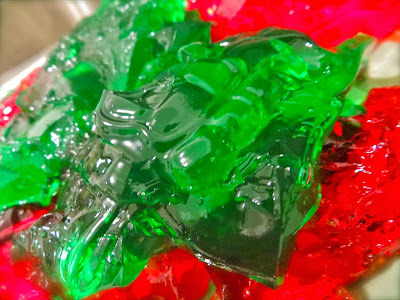 How can you resist poking a festive gelatinous blob? Impossible, dudes. 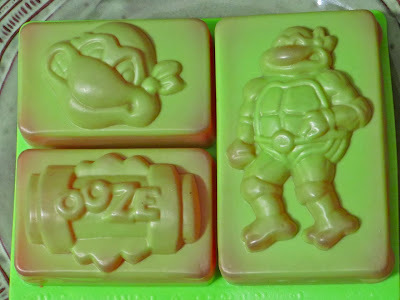 Using a set of classic TMNT molds, I cooked up a batch. 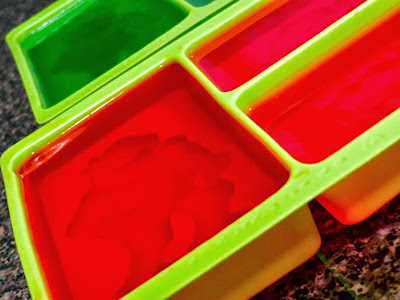 Red and green Christmas colors Jello filled the Turtle-riffic designs. I'm eager to offer friends and family something truly special for the holidays. 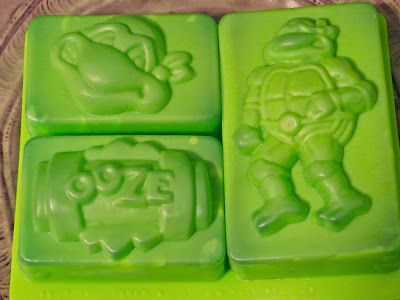 Who else is giving their loved ones Jello in the shape of mutated Turtles and ooze canisters? 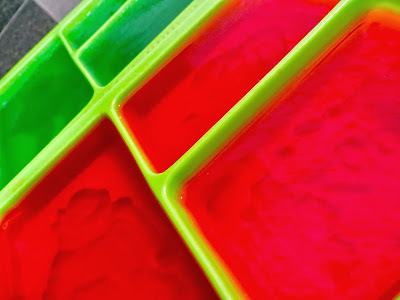 As the Jello settled, my anticipation did quite the opposite. My excitement spiked through the roof and straight to the North Pole. All I want for Christmas is to play with my festive food. What a disappointment! 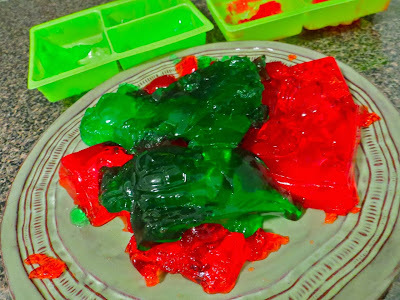 This Jello was not jolly and pulled a Grinch move by refusing to come out of the mold. This was worse than getting coal for Christmas. 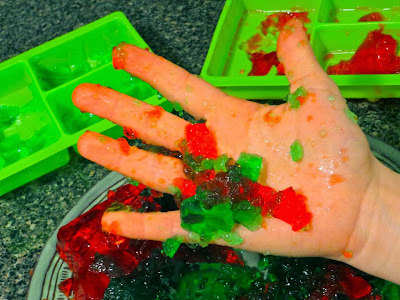 I was left with a red and green glob the size of Santa's belly. 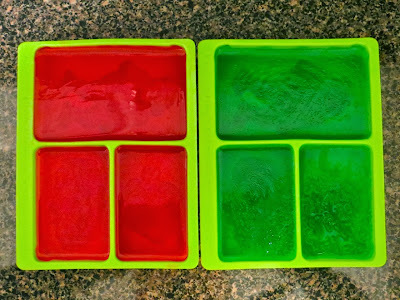 My holiday Jello needed a Christmas miracle to be salvaged. Scraps of Turtle Power slopped around on the plate. 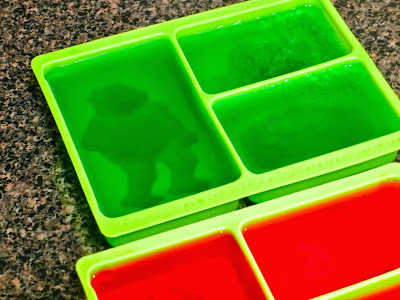 My wild wish of giving TMNT Jello gifts was dead. I poked and prodded the Christmas-colored blobs with a mischievous smile. 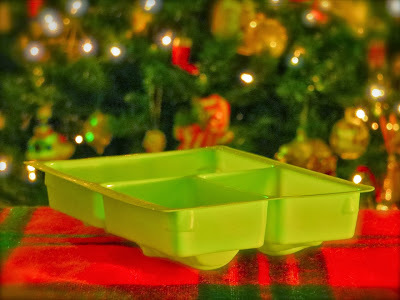 My fingers slide deeper into the holiday goop as the sound of sleigh bells filled my mind. Meanwhile, I just kept waiting. Where were the adults? The frustrated yells? I expected someone to burst in the kitchen and yell STOP!!! But then, I remembered. I AM an adult. I call the shots. And this Christmas, Turtle Power or not, I am playing with my food. Make sure to return tomorrow for Day 22 of 24 Days of Turtle! Katie said next time do it the right way - wipe some vegetable oil on the mold first. Though I think you did it on purpose so you had an excuse to play with your food. Katie has offers Splinter-like knowledge! While it did turn into a mess in the end, you did try and make it fun, and that's the best part about this. 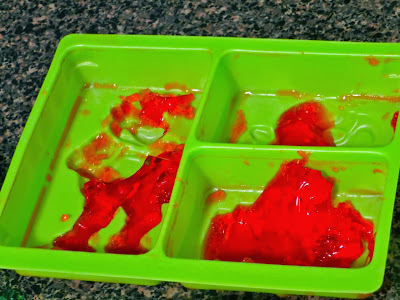 Did you try pushing on the back of the tray until the jelly popped out of tray? That usually gets it out quite nicely. I'm talented at many things. There are a few solid achievements under my belt. BUT, the simple things seem to be problematic for the master of The Sewer Den. 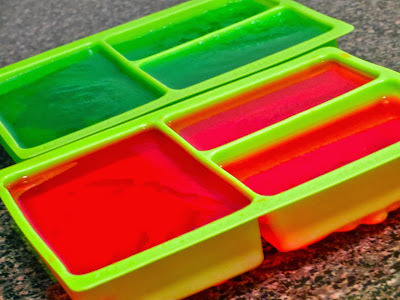 Apparently making Jello is one of them! I've also had 2 cactuses die under my care (cactuses!!!) . Oi, same here. Simple stuff can sometimes can turn into real hassles. 2? Dang, how'd that happen? No clue! One literally just fell over and was dead. Maybe the third time is a charm?